The upcoming WPSSO JSON Pro v1.18.0 release (ETA Nov 11-12th) includes new Schema Job Posting options in the Social and Search Optimization metabox and support for the Simple Job Board plugin (along with pre-existing support for the WP Job Manager plugin from Automattic). See the WPSSO JSON changelog for more details. The WPSSO Schema JSON-LD Markup (WPSSO JSON) v1.13.0-1 extension for WPSSO has been released (see the complete Changelog here) — this latest version adds several custom Recipe Instructions and Nutrition Information options to the Social Settings metabox, along with including some new integration modules for WP Recipe Maker and WP Ultimate Recipes. 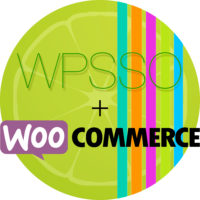 WPSSO Schema JSON-LD (WPSSO JSON) extension v1.12.0-1 has been released — this new version adds WooCommerce product reviews to the Schema Product markup, along with adding WordPress comments and threaded replies to the Schema CreativeWork markup and its sub-types (Article, BlogPosting, WebPage, etc.). WPSSO Schema JSON-LD Markup (WPSSO JSON) version 1.11.1-1 has been released and features improved markup for the Schema item types Blog, CollectionPage, ProfilePage, and SearchResultsPage. Each of these “archive” page Schema types now include a “hasPart” property to list posts in the current view (WordPress blog home page, date / category / tag archive pages etc, and search results). NGFB version 8.37.2-1 and WPSSO version 3.37.2-1 have also been released. The “Item Type for Home Page” option has been replaced by two new options — “Item Type for Blog Home Page” and “Item Type for Static Home Page” — allowing you to select different Schema types for each. The WordPress blog home page defaults to https://schema.org/Blog, with posts listed in the JSON-LD “hasPart” property (WPSSO JSON extension required), where-as the static home page defaults to https://schema.org/WebSite. WPSSO Schema JSON-LD Markup (WPSSO JSON) version 1.10.0-1 has been released, and includes several improvements for Pinterest and the Schema Recipe markup. Although previous versions of WPSSO JSON included basic support for the Schema Recipe markup, finding an elegant way to manage ingredients — without duplicating existing theme and/or 3rd party ingredient management — was still on the To-Do list. Thanks to the helpful suggestions of a customer with a recipe website, I was able to include recipe integration features in this version.